Most of these assets came with the pack that was purchased. Crate,intact wall, fuel tank, fuel truck, barricade, guard tower. 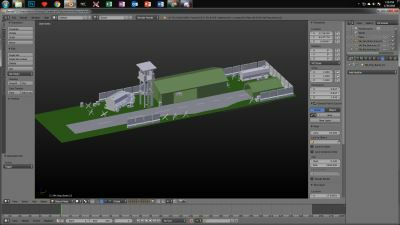 The buildings were assets that i modified to fit an airstrip environment.